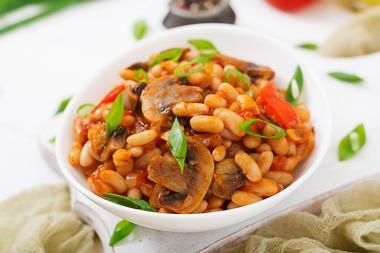 We don’t know about you, but we honestly can’t get enough of vegan food. Not only does it have the capacity to be incredibly delicious when it’s done right, it’s also got tremendous nutritional value, which will do your body a world of good. If you’re someone who feels a bit apprehensive about trying vegan or vegetarian cuisine for the first time, Miami is a great place to have your first taste. Miami is filled with a variety of vegan restaurants that will ease you into the world of plant-based cuisine. Try some of the following places the next time you’re in town to have a taste of what you’ve been missing. A health food shop, smoothie bar, organic juice store, and food supplement store rolled into one, Beehive Natural Foods has been in business for nearly 34 years as an overall great place to stop and grab healthy produce and supplements. Owned by Bob Penna, a certified nutritional coach, the Beehive Natural Food Store also has a vegan and vegetarian restaurant on site to serve hungry herbivores looking for a spot of food. Grab some of the healthiest yet delicious meals you could possibly get in Miami, all of which are organic, before getting your shopping and grocery needs done. Don’t forget to grab a shake or juice to wash it all down. Cozy, homey, and absolutely one-of-a-kind, the Carrot Express is a 1,500-square-foot eatery situated in the heart of South Beach. 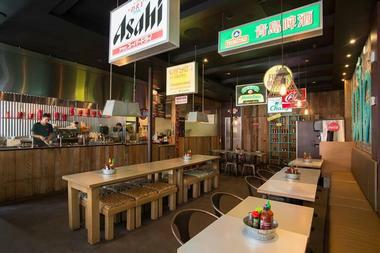 It offers counter-service dining while serving up an incredible range of vegan and vegetarian salads and sandwiches. The Carrot Express has been open for over 20 years and offers a simple and yet completely diverse menu chock-full of brilliantly assembled sandwiches, fresh salads, delectable wraps, and pure juices. Additionally, the owners and staff of the Carrot Express are passionate about their menu and their commitment to healthy lifestyles. 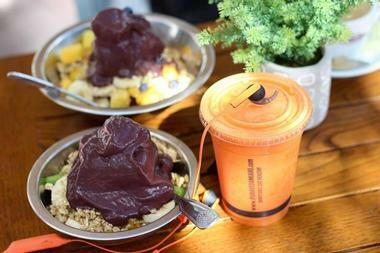 Some dishes to try at Carrot Express include Mario’s Favorite, the sausage vegan bowl, and their superb acai bowls. If you didn’t think it was possible for Miami to grow its own brand of vegan chain restaurants, think again. 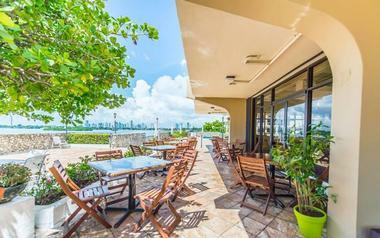 Choices Café is a hugely popular vegan café founded and grown in the Magic City with locations by Coconut Grove, Coral Gables, Miami Airport, and the Upper East Side. Now, when this café says they’ve got choices, they really mean it. 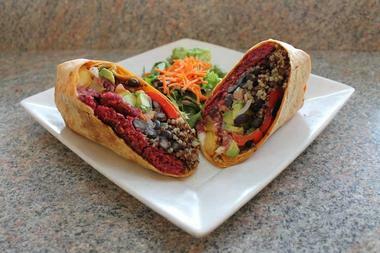 Their menu is bursting with fantastic vegan and organic food options from salads to bowls. They’ve even got really filling meals for under $10 as well as standout dishes like the chickpea tuna and sautéed onion rice bowl. If you’re not sure what you want to try, we recommend going for the sprouted tofu and black bean wrap, a signature dish on their menu, and ending your meal with their incredible maple “bacon” donut. Who says a French brasserie can’t go vegan? Eden in Eden is the very first vegan and vegetarian-friendly French brasserie in Miami, and boy do they know how to deliver a great meal. Inspired by and unashamed of their love for plant-based cuisine, Eden in Eden perfectly captures the essence of French cuisine without having to use butter, cheese, or eggs. How? Well, think something along the lines of swapping ham for juicy cuts of veggie pork, soy-cheese goodness, and tons of veg. There are absolutely no sacrifices made when it comes to texture and flavor, as Eden in Eden takes great care to mimic the cooking process of your French-foodie favorites. Ready to have a taste? Try their croque monsieur at your first visit. Founded and opened in 2015, Full Bloom Vegan pushes the boundaries of cooking as a whole by bringing a new level of flavor and excellence to vegan cuisine. As the first vegan restaurant in Miami Beach, they work hard to bring a creative and fresh take to plant-based dishes and elevating the flavor profile of each ingredient. Full Bloom Vegan’s commitment to remaining animal-caring and health conscious is also very clear in their cooking as they source their fresh and organic produce from local farmers and small distributors. Some dishes to try include the mofongo, which is fried plantains, red onions, cilantro and a creamy chimichurri sauce, the jackfruit empanaditas with Creole sauce, and the veggie dynamite sushi roll with Korean red pepper aioli. With over 25 years of cooking experience, Chef Jerry Dominique opened the KC Healthy Cooking restaurant to share his passion for healthy food with the rest of Miami. KC Healthy Cooking promises to give you an exceptional foodie experience that will leave you feeling rejuvenated and absolutely ready to handle whatever the day has to throw at you. 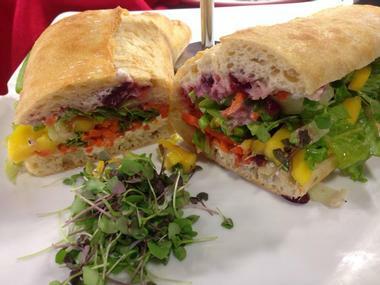 Chef Jerry also makes sure to communicate that healthy food doesn’t have to be bland or tasteless. He focuses on expanding your pallet by exposing your taste buds to the freshest ingredients possible with exciting spices and flavors. Try their Chicktail or Steve Wrap for a great lunch or their grilled portobello mushroom sandwich or snapper fajitas for a filling dinner. 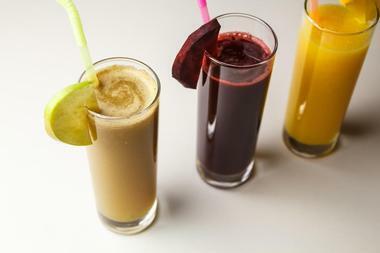 Got a hankering for some delicious and fresh vegan smoothies, juices, and shakes? 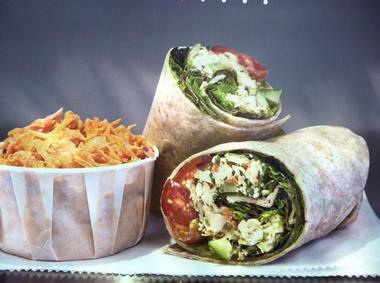 How about a hunger for fresh nut milks, pitas, wraps, or salads? Look no further than Milk Gone Nuts. Milk Gone Nuts is known for making the best non-dairy milk in Miami and turning that into delicious deserts, drinks, yogurts, and puddings. Not to be missed either are their spectacular meals, which are completely plant based and vegan friendly. 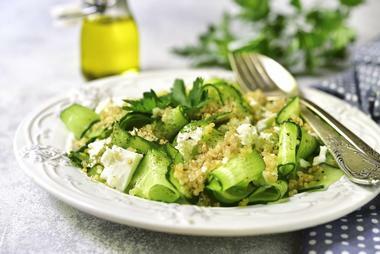 Some of their must-try dishes include their power greens salad with protein scoops, the spinach wrap with hummus and quinoa, and the Pitaya Bowl. 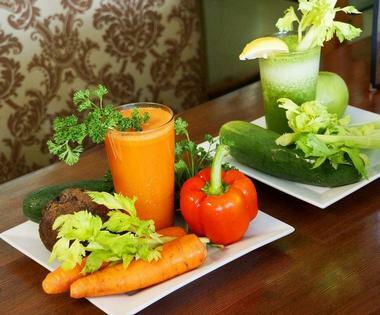 No matter what you decide to munch on, make sure to try the spectacular fresh juices and smoothies to cap your meal. 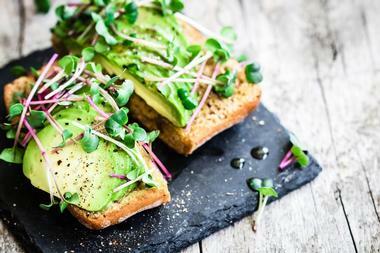 Who says you can’t get healthy food fast? Dishing up fast and healthy vegan food, Nutreat Miami is a welcoming eatery staffed by cheerful plant-loving individuals. The atmosphere at Nutreat is just as merry as their staff and food, with its bright interiors and casual vibe. The dishes at this local favorite dining spot focus on fresh and seasonal ingredients sourced from local farmers. Try their crunchy spinach salad with tuna or any of their savory crepes for a light and refreshing meal. If you’re looking for something more substantial and hearty, you can also give their hefty wraps a try. 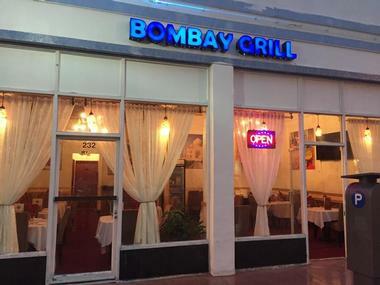 Proudly located on Miami’s South Beach, Bombay Grill sets a high standard for Indian restaurants all over the city. 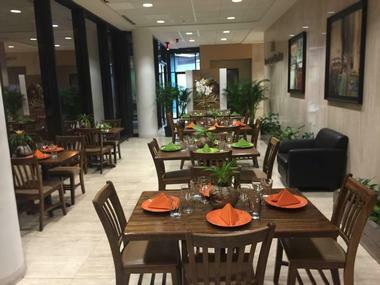 It’s known, in particular, for serving sublime and classic Indian dishes to Miami’s eclectic crowd of locals and visitors while staying to true to their vegan and vegetarian roots. One trip to this restaurant will take you on an unparalleled gastronomic journey through the ancient terrains of India and the various regions that contribute to its stellar cuisine. Dig into Indian favorites like the samosa chat or the garlic chilly paw bhaji to start and whet your appetite before digging into crowd pleasers like the tofu mutter makhni khajoo or the aromatic corn or tofu palak. There is but one credo that reigns supreme at Pura Vida and it is this: Health is happiness. Serving up super foods with the goal of helping you awaken your own body’s potential for greatness, Pura Vida ensures that you consume only ingredients that are good for your body and overall health. 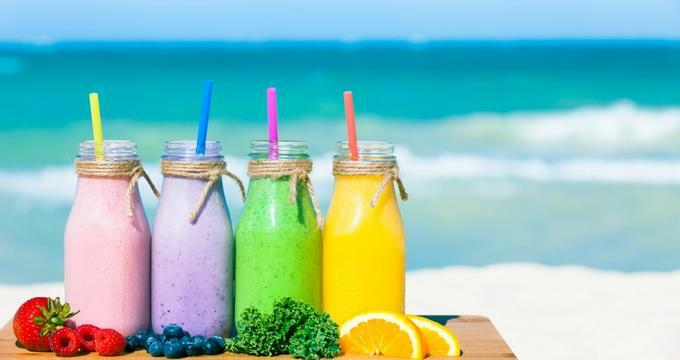 Whether it’s a juice, a smoothie, a raw organic bowl, or a wrap, each dish is lovingly prepared with a good-old South Beach vibe and a passion for helping others raise the health bar in their own lives. Eat healthy, eat smart, and eat flavorful food all in one spot at Pura Vida. What’s Sriracha House all about? Well, let’s put it this way: Street food just got healthy. Focusing on fresh and easy ingredients hailing from Southeast Asia, Sriracha House delivers tasty and rejuvenating dishes with a kick to the Miami’s local community. Practically everything at Sriracha House starts with a bowl of noodles. To this, they add a ton of your choice of fresh ingredients and then cook them on demand in a wok. Add to this a generous helping of their signature homemade sauces and you’ve got a work of art individualized to your preferred flavors in one glorious bowl. The best part? There are no preservatives or MSG used in their cooking ever. What are you waiting for? Come on in to Sriracha House and play a while. If we had to pick three words to best describe the Café at Books and Books, it would be local, sustainable, and delicious. A neighborhood gathering place at heart, the Café at Books and Books is dedicated to creating a community-friendly location that is perfect for foodies and book lovers alike to gather together. Their passion for literature and cuisine is absolutely apparent and their creativity shines through their satisfying and unique vegan menu. The Café at Books and Books is committed to the use of only sustainable, heart-healthy, and hearty ingredients sourced from local producers and highlights each ingredient as best as they can through their imaginative cuisine. Take a trip to the Caribbean at the Vegetarian Restaurant by Hakin. Funnily enough, the restaurant’s name is actually a bit of a misnomer as the Vegetarian Restaurant by Hakin is 100% vegan. They serve up some of the best Caribbean-inspired faux burgers, sandwiches, pizzas, and more in and around north Miami. Stop by to try one of their famous vegan ackee and fish patties or drop by for a refreshing smoothie from their full-service juice bar. You can even ask for add-ons to your smoothies like vitamins, plant-based supplements, and proteins. Whatever you decide, there’s always something new and delicious to sample from this stand-out restaurant’s inspiring vegan cuisine.